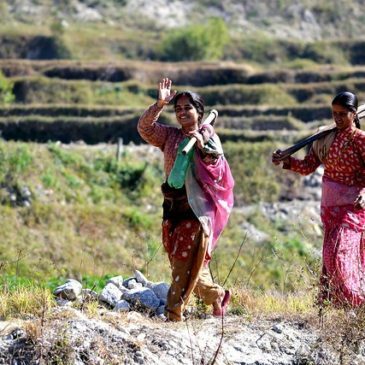 This Climate and Development Knowledge Network report looks across 10 CDKN initiatives that worked at multiple scales in India, Indonesia, Nepal and Pakistan over seven years. Some initiatives initially focused on local-level piloting, and then scaled up and out. Other initiatives focused from the outset on innovation at multiple levels of governance. The adoption of the Sendai Framework for Disaster Risk Reduction, the Addis Ababa Action Agenda, the United Nations Sustainable Development Goals and the Paris Climate Change Agreement, all in 2015, highlights the strength of international commitment behind climate compatible development. Given the immense scale of the opportunity, and the challenges globally in responding to this, John Colvin and Christina McDonagh argue in this new report by Emerald Network for CDKN for the value of stimulating climate compatible development initiatives at multiple levels of governance, from the local to the national, as well as the global. They call for designing these initiatives in ways that maximise the synergies of effective coordination between the levels and for using an action research framing (for example where research is initiated to solve an immediate problem or uses a reflective process of progressive problem solving; and which engages a "community of practice" to improve the way issues are addressed and problems solved). Key aspects of this report are summarised below. See the full report for much more detail - download available form the right-hand colum. Change and innovation for climate compatible development can be initiated at many different levels, from global to national to local. Given the challenges inherent in climate compatible development as a process of change, it makes sense to invest in change initiatives at a number of different levels. These levels are also interconnected. For example, to be effective, national climate policies and plans need local implementation. This is true for both low-carbon and climate-resilient development, but particularly for the latter, with vulnerability sensitive to local social, economic and ecological conditions. Often, local implementation happens through a multi-tiered structure of provincial, city and district governments, and a combination of public and private actors – a process known as multi-level governance. Actors at provincial, city, district and community levels are therefore key players in efforts to meet national goals. As a way to stimulate and share learning with the reader, the authors treat the 10 CDKN initiatives as a set of ‘design experiments’, all of which have benefitted the many and diverse stakeholders involved, but with some of these initiatives leading to more effective multi-level pathways of climate compatible development than others. They argue that effective design is key to working with scale. The report analyses design through two lenses, making a distinction between pathways for working with scale, and principles for enabling effective pathway development for climate compatible development. Short-term multi-scale pathways that are research-led, and succeed in building awareness, but fall short of embedding new practices. Short-term multi-scale pathways that adopt a hybrid action and research approach from the outset, and succeed in embedding new practices at some scales (mainly locally), but not at others. Longer-term multi-scale pathways that take an action research-led approach, and succeed in embedding new practices at multiple scales. Get into action early, by encouraging the use of action research approaches. Adopt a flexible and adaptive management approach to project and pathway development, consistent with an action research framing. Extend initial short-term project investments into longer-term pathways, but only in cases where innovation is taking hold in practice as well as in understanding. Adopt flexible points of entry, responding to opportunities as well as more carefully planned approaches. Draw on a rich and flexible toolkit of knowledge brokering and knowledge networking practices, with particular attention to ‘knowledge bridging’ between sectors and between scales. Colvin, J. and McDonagh, C. (2017) Working across scales: Learning from seven years of climate compatible development in Asia. Climate and Development Knowledge Network (CDKN): London.